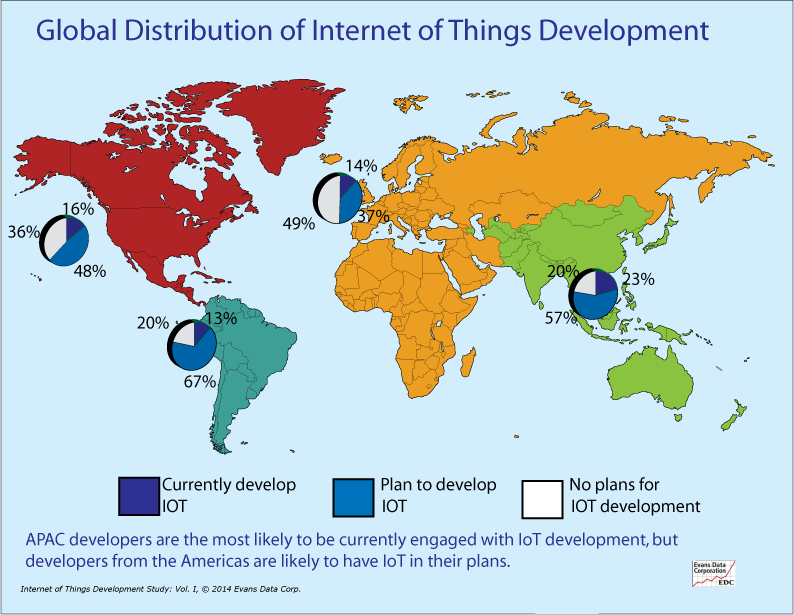 According to new data released by Evans Data Corporation, 17% of current developers are working on applications for the connected Internet of Things. The amorphous platform of IoT is still yet to be concretely defined, yet many see the system of connected devices and items as a wave of the future. The Evans Data report also reveals that another 23% of developers plan to begin building IoT applications within the next six months. The survey also found that 31% of IoT developers most associate cloud computing with IoT, followed by real-time event processing (26%), big data (17%) and machine to machine (15%). 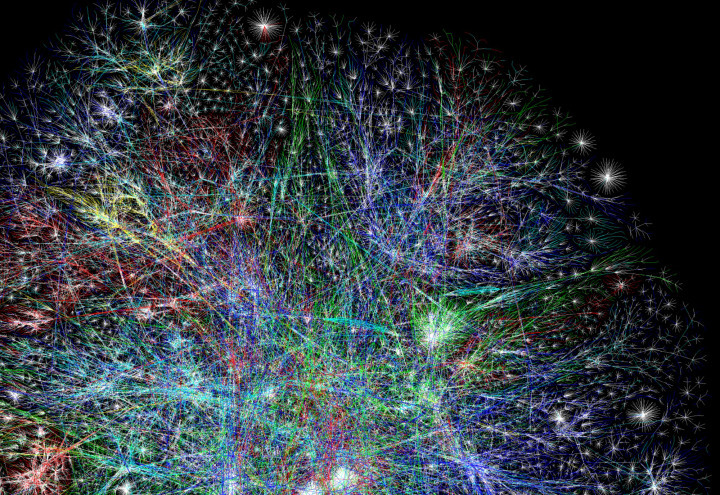 Without question, the Internet of Things will continue to be an emerging and evolving market. Though there may not be a determined path for this trend to take but as development moves forward, “The Internet of Things will be as exciting and vibrant as it is frustrating and tricky,” Wired‘s Klint Finley reminds us. “Beyond the cutesy stuff, there are some fascinating enterprise-scale applications that are emerging — such as GE’s concept of the Industrial Internet, in which major components such as aircraft engines and generator turbines are outfitted with sensors that can radio performance data back to their makers. This is where the IoT will have a real impact, and it will be interesting to see where developers take these kinds of capabilities,” writes ZDNet‘s Joe McKendrick. With 212 billion connected devices expected to arrive within the next few years, Atmel recently joined forces with tech leaders Broadcom, Dell, Intel, Samsung and Wind River to establish a new industry group focused on improving interoperability and streamlining connectivity. The newly-unveiled Open Interconnect Consortium (OIC) looks to define a common communications framework based on industry standard technologies to wirelessly connect and intelligently manage the flow of information among personal computing and emerging Internet of Things (IoT) devices, regardless of form factor, operating system or service provider. No matter what the future holds, the evolution of device connectivity over the next few years will be intriguing to say the least, while Atmel will continue to play a key role in the building of the Internet of Things. If you want to view the entire Evans Data Report, you can view the document here. This entry was posted in Design Trends, Engineering Perspectives, IoT and tagged developers, Evans Data Corporation, industrial Internet, Internet of Things, IoT, IoT Developers on July 28, 2014 by The Atmel Team.